PHNOM PENH, Cambodia, June 17, 2013 (ENS) – The international body that oversees World Heritage Sites today requested the cancellation of oil exploration permits in Virunga National Park in the Democratic Republic of the Congo. Some of the permits are held by international petroleum conglomerates, including UK-based Soco International PLC and French oil giant Total SA. 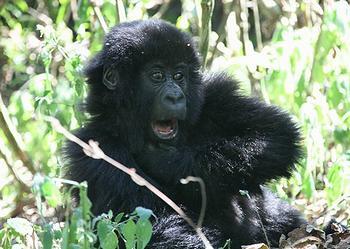 Virunga is Africa’s oldest national park and one of the continent’s first World Heritage Sites. It was inscribed in 1979 in recognition of its extraordinary landscapes, and because it is inhabited by more species than any other place in the continent. The World Heritage Committee, a rotating group of 21 countries that manages the UNESCO World Heritage List, said it is deeply concerned that Virunga could be degazetted or that laws could be changed so that oil concessions covering 85 percent of the park’s territory could be exploited. Conservation organizations warn that oil exploration could cause the site to lose its World Heritage status and would put in peril local livelihoods and rare species. Total last month promised to stay out of the park’s current boundaries, but remains active just outside its borders. “It is emphasised that Block V is not located within the mountainous Mikeno Sector, home to the famous Mountain Gorillas. This has been subject to much inaccurate media speculation. Furthermore, SOCO has stated it will never seek to have operations in the Mountain Gorilla habitat, the Virunga Volcanoes or the Virunga equatorial rainforest,” the company said. “Virunga National Park is one of the last places on Earth you should go looking for oil,” said René Ngongo, mining and extractives policy advisor at WWF-DRC. The World Heritage Committee also turned its attention to the responsibilities member countries have as parties to the Convention Concerning the Protection of the World Cultural and Natural Heritage. UNESCO’s World Heritage Committee meeting, which started Sunday in Phnom Penh, will consider a total of 34 natural and cultural areas for World Heritage status. The International Union for the Conservation of Nature, IUCN, the advisory body on natural World Heritage, recommends five new sites for inscription on the list of Earth’s most outstanding places. The Committee also will review the state of existing World Heritage sites, including some that could be placed on the List of World Heritage in Danger. Particular attention will be paid to the World Heritage sites of Mali that were severely damaged during the occupation of the northern part of the country last year and earlier this year, and to the sites of the Syrian Arab Republic that are also prey to damage from strife, the Committee said in a statement. IUCN will recommend three natural World Heritage sites to be put on the Danger List. Virgin Komi Forests in Russia, Lake Turkana in Kenya and East Rennell in the Solomon Islands all face serious threats to their Outstanding Universal Value. The first two sites have been kept off the Danger List for the last two years, despite IUCN’s expert reports and recommendations. Today, the Committee decided to remove Iran’s World Heritage site of Bam and its Cultural Landscape from the List of World Heritage in Danger. Bam was inscribed on the World Heritage List in 2004, shortly after it was struck by a major earthquake and simultaneously placed on the List of Heritage in Danger. “The World Heritage Convention conveys the highest expectations for the protection of our common cultural and natural heritage. We are committed to working with States Parties and all stakeholders to maintain the integrity of the Convention and strengthen its role as a flagship for best practice in global conservation,” says IUCN Director General Julia Marton-Lefèvre. In attendance at this session of the World Heritage Committee are roughly 1,400 delegates from 121 countries, and a press corps of more than 550 from 17 countries. These include 745 cultural sites, 188 natural sites and 29 mixed sites in 157 countries. 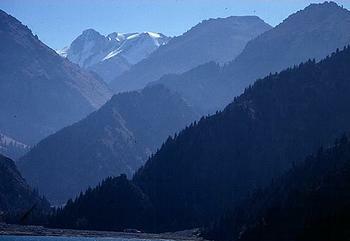 As of September 2012, 190 States Parties have ratified the World Heritage Convention.